Could you run 1,000 miles in a year? As we enter the final month of the year, and the final month of the Stand by Me Tonne Run, Michael Glover from Lisburn, County Down, has not only been pounding the roads to complete the last 75 miles of his 1,000 mile challenge, but he has also been busy fundraising. 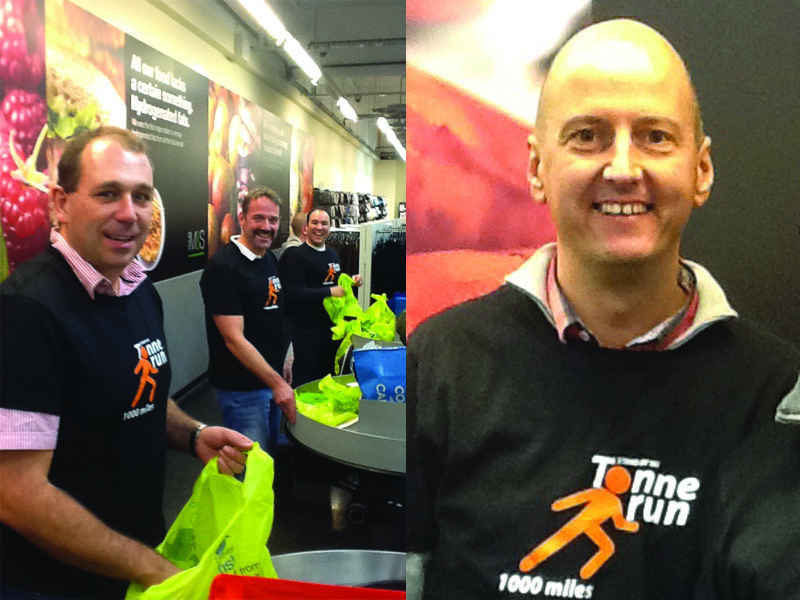 He organised a bag packing day with a few friends in his local Marks & Spencer store and raised an excellent £472. Combining this with earlier fundraising efforts such as a Hog Roast BBQ and disco at his local rugby club, together with sponsorship, he has to date raised an astonishing £1,600. But not content with that, he’s now set himself the target of £1,800! What a man. The Tonne Run has been taking place over the last 12 months, as we’ve encouraged as many of our supporters as possible to run 1,000 miles (the width of Ethiopia) between January 2012 and January 2013. Some such as Michael took part individually while others formed a group, to fundraise for the children in Ethiopia who have to walk over 1,000 miles each year to collect water for their families.